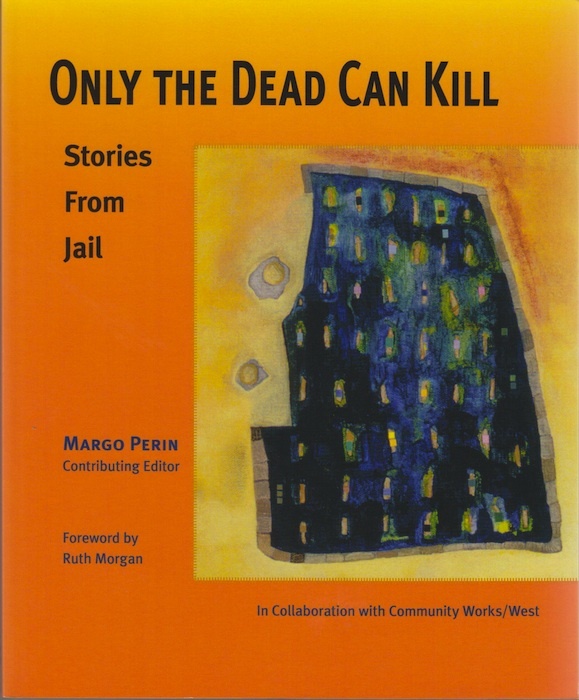 Only the Dead Can Kill: Stories from Jail is a collection of stories and poems by men and women who are incarcerated to show the humanity of people who live behind the walls, and features Margo Perin’s childhood story of growing up on the lam. Only the Dead Can Kill was funded by the Creative Work Fund and is available in print and on CD. As crime and recidivism rates continue to rise, rarely do we have the opportunity to hear the voices of the 2.5 million men and women who are currently incarcerated in the thousands of jails and prisons across the United States. In this unique, enlightening collection of autobiographical stories and poems, men and women who are incarcerated in San Francisco County Jail tell their life stories. In their raw, powerful voices, these emerging writers look at their lives with unflinching candor. This profoundly personal and courageous public anthology removes the mask of invisibility of the men and women living behind the walls of our jails and prisons. Featuring Margo Perin’s own story of being raised by a criminal father, Only the Dead Can Kill crosses new boundaries of literature and creates a bridge between people living on both sides of the walls. The writers’ voices call on us to shine a light into the shadows of our own experiences and go through a process of healing to reach the depths of our own humanity.